National Progression Awards (NPAs) assess a defined set of skills and knowledge in specialist vocational areas, linked to National Occupational Standards. 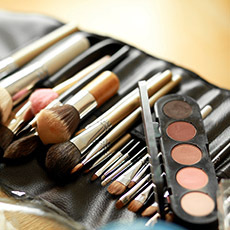 The NPA in Beauty and Digital Communication at SCQF level 4 introduces learners to basic techniques that are important in the beauty sector. This NPA develops knowledge and understanding of the beauty sector; digital communication and self-development. This NPA introduces a range of key beauty skills, basic techniques and how to perform these within a safe environment. Basic optional skills covered include nails, facials, waxing, skin care and make-up. This qualification covers areas such as beauty consultation process, beauty hygienic practices, performing beauty skills to saloon standard and ITC digital communications. The National Progression Award in Beauty and Digital Communication at SCQF level 4 provides an ideal foundation to gain a basic understanding of the subjects within Beauty and Digital Communication. The NPA Beauty and Digital Communication at SCQF level 4 consists of 3 mandatory Units (18 SCQF credit points).